The "capital city" of the internationally unrecognized Nagorno-Karabakh Republic. Apart from serving as a base from where to explore the region, it offers the dark tourist a couple of small, idiosyncratic museums relating to the Karabakh war. More background info: Stepanakert, population ca. 50,000, is the Armenian name of what serves as the de facto capital city of the de facto independent, but unrecognized republic of Nagorno-Karabakh. 'De jure' it is, like the whole region, regarded internationally as part of Azerbaijan, where the city is known as Khankendi (Xankəndi in Azeri spelling). 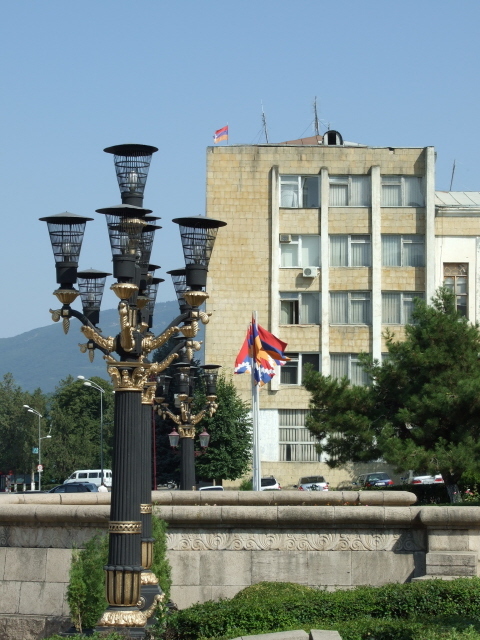 This disputed international status notwithstanding, Stepanakert is to all intents and purposes an Armenian regional capital city in every practical way. 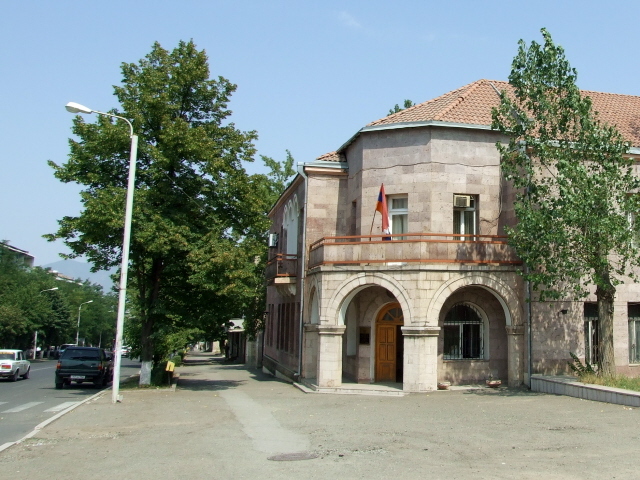 In particular, it serves as the administrative and transport hub of the Karabakh region. The only indication you get as a visitor of the officially disputed status of the place is the presence of a larger number of soldiers on the streets than you would usually get in "normal" cities – but even that is hardly a dominant feature of the Stepanakert experience. Instead it's just a small but industrious provincial town with lots of construction work going on and a fairly well-functioning infrastructure already in place. This includes facilities for foreign tourists, such as hotels and restaurants, where there is even some degree of English-speaking service (see below). Overall, however, the feel of the place is more Russian than elsewhere in the Caucasus – and Russian serves as the default lingua franca, even more so than Armenian, it seems. The level of reconstruction in the city leaves very little indication that it was a war zone less than two decades ago and that it suffered so severely from being shelled by the Azerbaijani military back then. 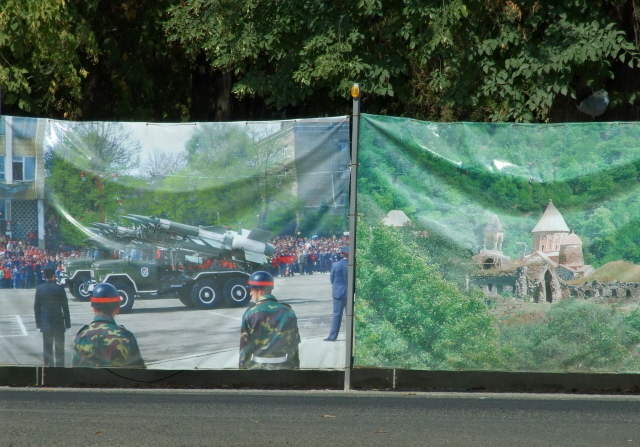 The main base from which GRAD missiles were fired at the city was the nearby town of Shushi, whose location high on a hill overlooking the plain that Stepanakert sits on proved a vital strategic position. With the capture of Shushi by the Armenian Karabakh army, the shelling from there was stopped, but at that point virtually every building in Stepanakert had suffered at least some damage. Now, almost all that damage has been repaired, unlike in Shushi itself, which is still dominated by war ruins. 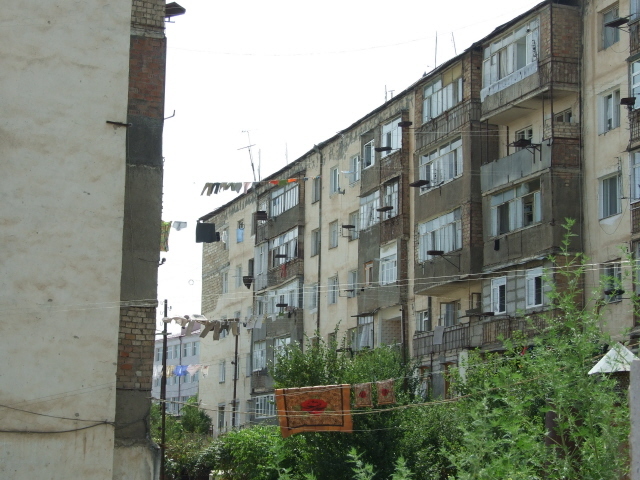 In fact, Stepanakert has become a little boom town – apparently most of the money that reaches the "republic" (be it from Armenia or from the moneyed Armenian Diaspora abroad) is being spent here … as well as on the road network that links it with the western, northern and southern parts of the region. Of mildly dark-ish interest may be the main square (Hraparak Vertsnound) where the government buildings of the unrecognized quasi-independent republic can be found … proudly flying several specimens of the flag of Nagorno-Karabakh next to those of Armenia. 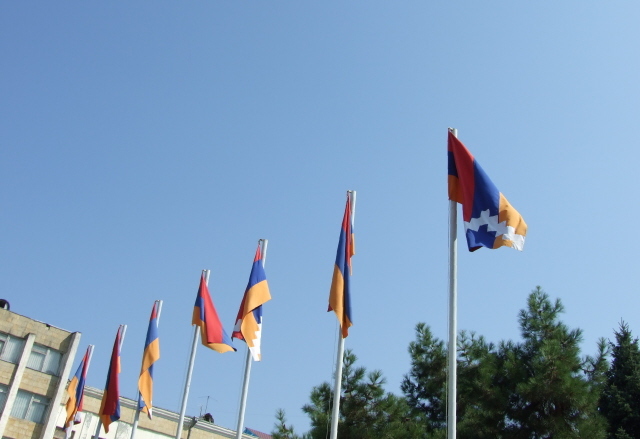 The former is only distinguished from the latter by an additional symbol to the Armenian red, blue and orange stripes: namely a white pattern of a zig-zag chevron which looks a bit like steps in a staircase, but is supposed to symbolize that Karabakh is a separate region within Armenian lands … or something like that. 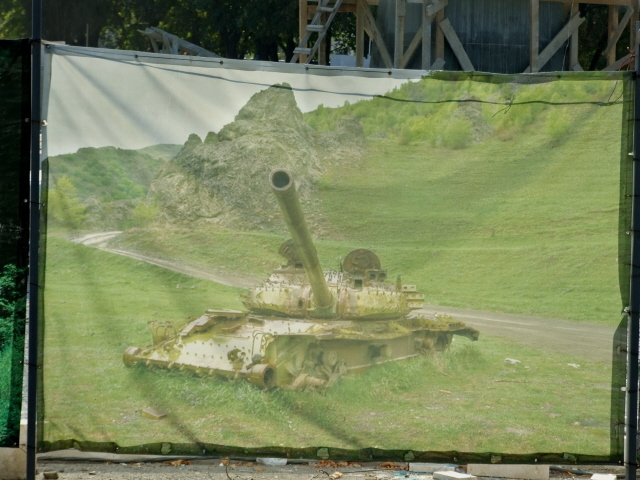 The only direct indication of the recent war that I saw when I visited Stepanakert (in August 2010) were images on a construction site's fence on Shahumian Hraparak roundabout showing wrecked tanks as well as military parades. Apart from that, Stepanakert simply serves as the most useful base in the region from where to visit its principal dark "attraction", the vast ghost town of Agdam – or neighbouring Shushi. Location: roughly in the very heart of the Nagorno-Karabakh region, at the eastern end of the Goris-Stepanakert road that connects Karabakh to Armenia via the Lachin corridor. The newly-paved "north-south highway" of Karabakh also passes through Stepanakert. Access and costs: only accessible by road via Armenia, but without too much hassle; not too expensive. Details: the "border" (rather frontline/ceasefire-line) with Azerbaijan remains closed and extremely sensitive; and the former railway line to the east is disconnected and derelict. So the only way to get to Karabakh is via Armenia. A paved road in comparatively good condition connects Stepanakert to the eastern Armenian town of Goris – and onwards to Yerevan. There are bus/minibus (marshrutka) services from both Goris and Yerevan, or you can get a taxi. The former are cheap (between 2000 and 6000 AMD) but uncomfortable, esp. with luggage, the latter more expensive, but still not too crippling. I had a car sent by my hotel to pick me up in Yerevan, and it cost 40,000 AMD. 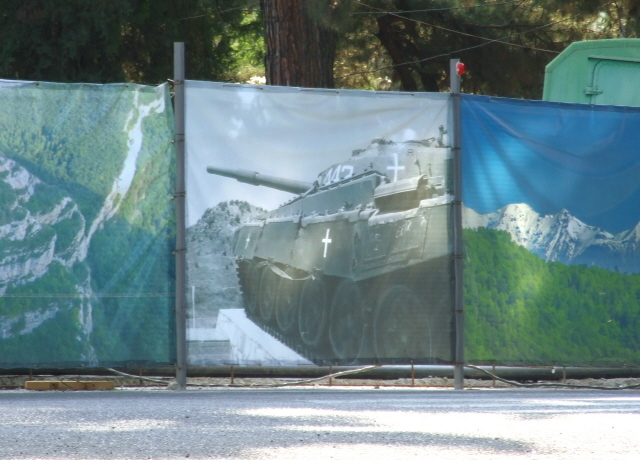 There is talk about the airport to the east of Stepanakert being prepared for reopening; it was closed for civilian air traffic during the war and only remained in use as a military airfield. If it does reopen, then there should be the alternative of flying in, presumably only from Yerevan, which would cut travelling time. Whether it will also be a competitive alternative price-wise remains to be seen. 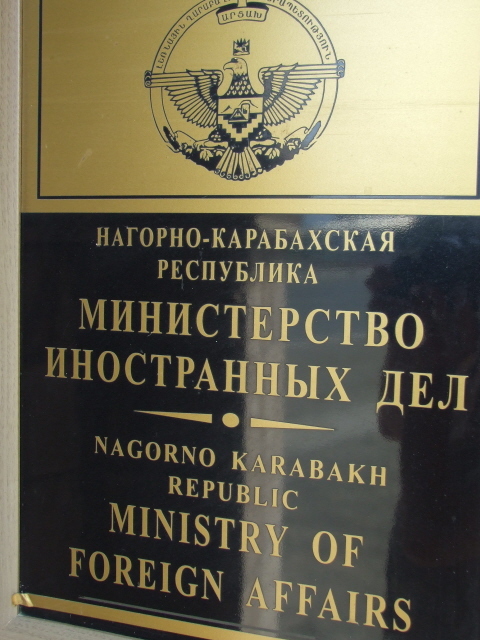 If you haven't obtained your Karabakh visa in advance (in Yerevan) you can do so on the spot in Stepanakert at the Ministry of Foreign Affairs (28 Azatamartikneri Poghota), where you have to register anyway on arrival, or, when arriving outside business hours, the next day at the latest)– see under Nagorno-Karabakh for more info on this. Getting around in town is easy – most of it is walkable, otherwise local taxis are cheap. Orientation is simple too – most tourists will normally only have to negotiate the main squares and the central thoroughfare that is Azatamartikneri Poghota. This runs in a diagonal south to north-eastern line from the central roundabout, Shahumian Hraparak. Further north past Victory Square (another roundabout) the name changes to Mesrop Mashtots Poghots. The furthest distances one has to cover within the city do not exceed about a mile and a half, e.g. if you're staying at one of the hotels at the northern edge of the city and walk to the central square. There's a fair range of accommodation options in Stepanakert, from the No. 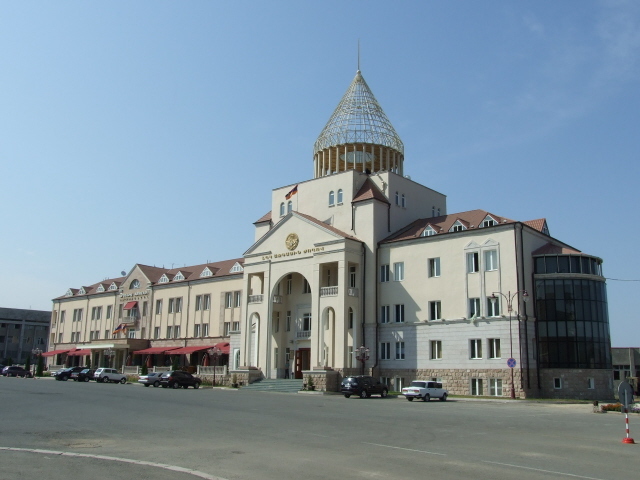 1 hotel in town, called Hotel Armenia, located right on the main square, Hraparak Vertsnound, next to the parliament, down to simple guesthouses and homestays. In between there are a couple of good mid-range hotels. During my visit in August 2010, I stayed at the Hotel Nairi, housed in a converted ex-school building on the north-eastern edge of town. I had a lot of help from the hotel manager in arranging excursions and transfers. Time required: A day or two should suffice for Stepanakert itself. But extra time is useful, a) for excursions to Agdam, Shushi and beyond, and b) to make for some flexibility regarding museum opening times … e.g. 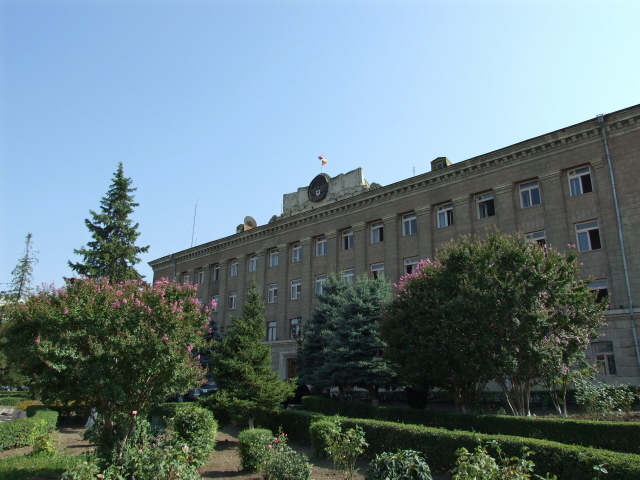 when I tried to visit the Artsakh State Museum during its normal hours of operation I found it temporarily out of action due to a power cut and so I was asked to return the next day. Combinations with other dark destinations: See Nagorno-Karabakh and Armenia. Combinations with non-dark destinations: in general see Nagorno-Karabakh. 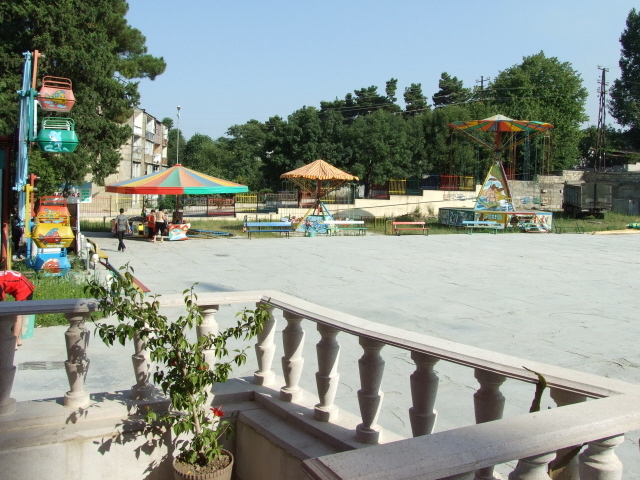 Stepanakert does not offer much for the mainstream tourist – other than serving as a jumping-off point for day excursions to the region's cultural sights (i.e. esp. Gandzasar Monastery). The only possible exceptions, other than a quick look at the reasonably well-kept main square with the government buildings, may be the carpet factory showroom on the main boulevard or the art gallery Kartinnaya (N Stepanyan Poghots). The two small amusement parks in the centre are aimed at local (and younger) pleasure-seekers rather, but can be interesting for people-watching. Those into old-school stuffy museums of local folklore and history may also get somewhat more out of the Artsakh State Museum than the more targeted dark tourist, who will mainly be after the war-related bits only.